We had reported ealier that there might be a strong chance that Apple might be sued over its iPhone 4 faults. This just happened with two iPhone 4 owners in Maryland have filed lawsuits against Apple and AT&T over the widely reported antenna issue. The suits were filed this wednesday in Maryland. The lawsuit was filed over breach of warranty, deceptive trade practices, misrepresentation, and fraud by concealment. Not just Maryland, similer suits were filed from New Jersey, Massachusetts and the latest one came from Texas. The iPhone 4 antenna issue came to light shortly after its release beyond Apple’s claims that a new antenna design has been incorporated to increase reception. Apple claims that in testing the new design infact improves reception and the issue is a software problem and an iOS 4 upgrade should resolve that. The design caused problems to people who hold their iPhone in their left hand. Critics flared up when the CEO of Apple, Steve Jobs dismissed the issue and adviced customers to avoid holding it that way. An internal support document leaked to Boy Genius Report also revealed that Apple support staff have been instructed not to offer warranty service for complaints about reception issues. 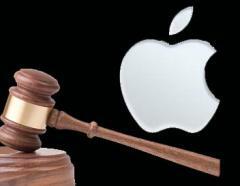 Apple and AT&T are yet to repond on the lawsuits and no official press release have been given. However Apple has asked its customers to expect a software update soon which will resolve the issue. Next Microsoft vs Java Trailer – Hilarious Video inside!